Tameka J. Harris is committed to helping coaches and consultants get more visible, more credible and more profitable with video that vibrantly attracts the clients of their dreams! 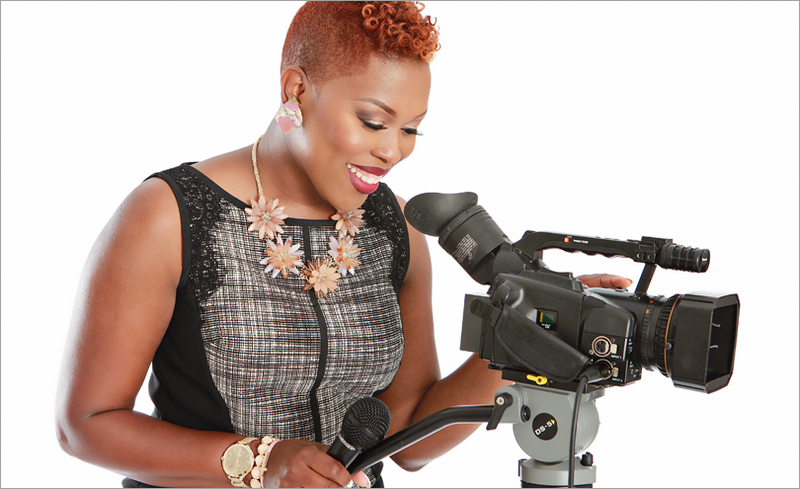 As a TV personality with a deep passion for media and entertainment, Tameka combines her expertise in broadcast television, video production and content creation to produce vivid, out-of-the-box results that captivate audiences everywhere. Through her work with TAMEKAHARRISLIVE, a colorful media and entertainment brand, Tameka is on a mission to teach 1000 entrepreneurs how to successfully harness the power of video, a mobile medium that yields the highest return on investment (ROI) to date. Through live courses, workshops and consulting, Tameka energetically walks you through the complex recording process to create share-worthy, feel-good vibrant video that aligns with the heartbeat of your core message. Be sure to sign up at TAMEKAHARRISLIVE.COM to request the highly anticipated FREE Video Mini Course: "3 Ways to Kill Anxiety Before You Press Record!"